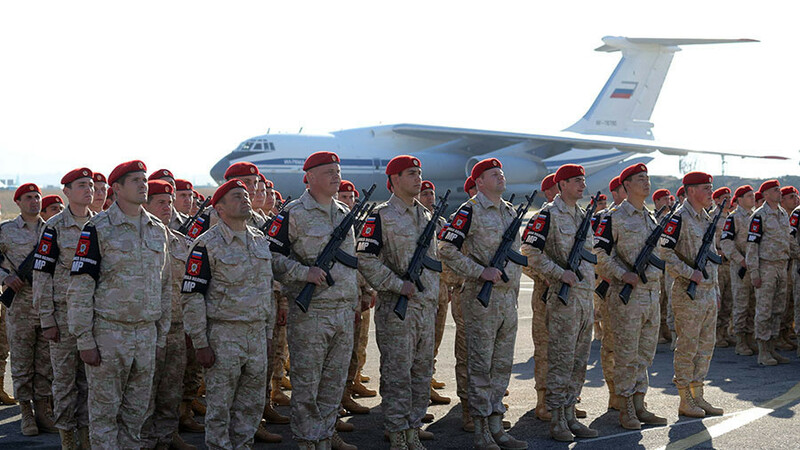 After more than two years of anti-terrorist operations in Syria, Russia is withdrawing its troops. RT looks at the milestones and achievements of the campaign, which played a key role in the defeat of Islamic State and helped Syrian reconciliation efforts. 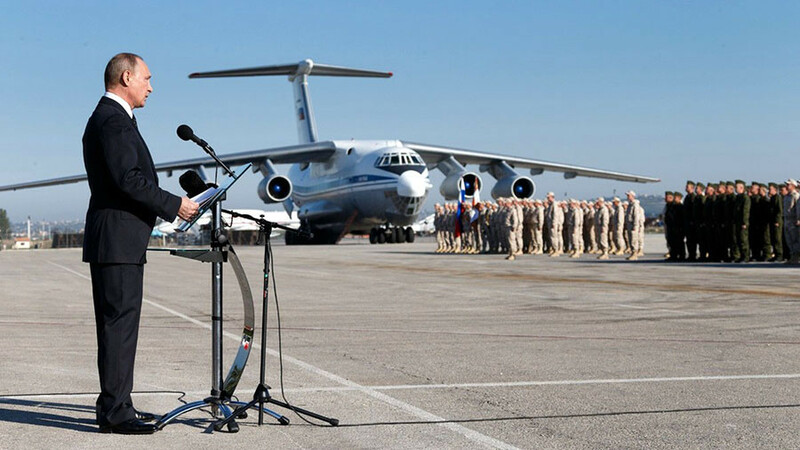 Russia’s military operation in Syria was launched on September 30, 2015, following an official request from the Syrian government for help in fighting jihadists trying to overrun the country. Now, more than two years on, President Vladimir Putin has ordered the withdrawal of a “significant part” of the Russian military contingent. 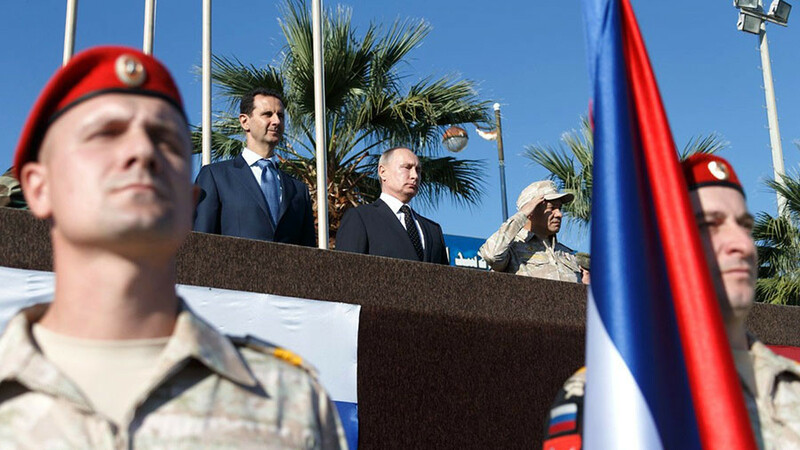 Putin made the announcement during a surprise visit to Syria’s Khmeimim Airbase, after the defeat of “battle-hardened” Islamic State (IS, formerly ISIS) forces in the country. 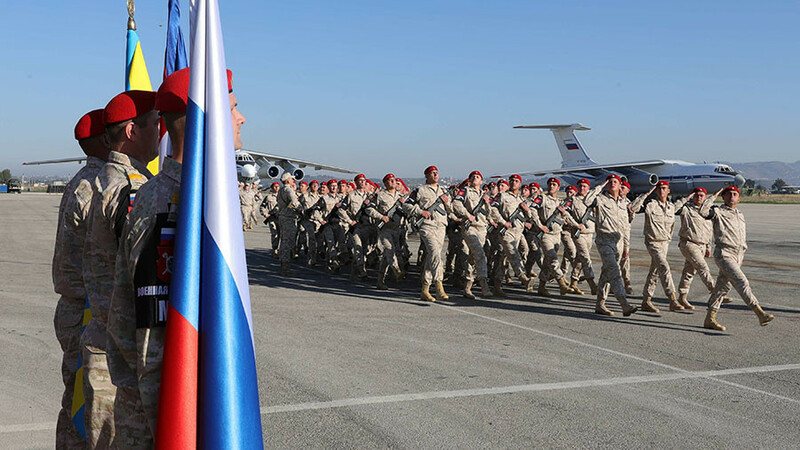 Russian special forces, military police, sapper teams and 25 aircraft will leave Syria, although the Reconciliation Center for Syria, as well as the Khmeimim base and Tartus navy supply point, will continue their work. Following the landmark announcement, RT revisits the major points of the Syria campaign. Once Syria’s largest city, Aleppo had been the scene of an intense struggle between the Syrian Army and numerous militant groups since 2012. At the time the Russian operation began, the city was divided into two roughly equal parts, with the Syrian Army defending the western half and militants occupying the eastern one. While media in the West presented the rebel-occupied part of the city as a stronghold of the “moderate” opposition, the area actually hosted forces from Al-Nusra Front – an affiliate of Al-Qaeda – as well as other radical jihadist groups. In 2015, the Russian air campaign helped lift an IS blockade of the Kuweires military airbase east of Aleppo, but it was only in the autumn of 2016 that Syrian troops achieved a breakthrough in bloody street battles in the city, which saw militant shelling, bombing and civilian deaths on a daily basis. The offensive caused militants to flee Aleppo, while hardline jihadists prevented civilians from escaping through Russian-backed humanitarian corridors. Damascus agreed to an organized evacuation of the remaining encircled militants and their family members, which proved to be a success despite attempted disruptions. The Aleppo campaign, initially backed by Russian airstrikes, received mostly one-sided, negative coverage in the Western media, with reporters and politicians accusing Moscow of “war crimes” and causing a “humanitarian disaster.” The liberation of the city in December 2016 was presented as its “fall” and “destruction,” as media outlets chose footage of shelled-out buildings rather than scenes of Aleppo civilians celebrating in the streets. Eventually, that narrative fell apart as tens of thousands of refugees started returning to the city and the rebuilding of ruined areas began. The World Heritage Site of Palmyra was captured by IS in May 2015, as Syrian troops suffered a chain of bitter setbacks across the country. Jihadists destroyed several ancient monuments, and used Palmyra as a stage for mass executions, featured in their propaganda videos. Russian-backed Syrian troops first retook Palmyra in March 2016, with Russian sappers painstakingly demining the heavily booby-trapped city and saving it from further destruction. Palmyra was overrun for a second time in a major terrorist offensive in December 2016, although fierce Syrian Army resistance stopped further advances tens of kilometers away from the Tiyas military airbase. IS rule ultimately only lasted a few months, with government troops restoring control in March 2017. During the Syrian conflict, the iconic ancient city bore witness not only to jihadist brutality, but also moving scenes such as a Russian symphony orchestra, led by world-renowned conductor Valery Gergiev, performing at its amphitheater. Palmyra also became the site of heroic deeds, with the touching story of a hero Russian officer who called in artillery fire on himself after being surrounded. The city of Deir ez-Zor became a true symbol of Syrian resistance, enduring nearly three years of an IS siege. Syrian government troops held the central parts of the city, an adjacent military base and the airport, with the population receiving vital supplies through Russian airlifts. 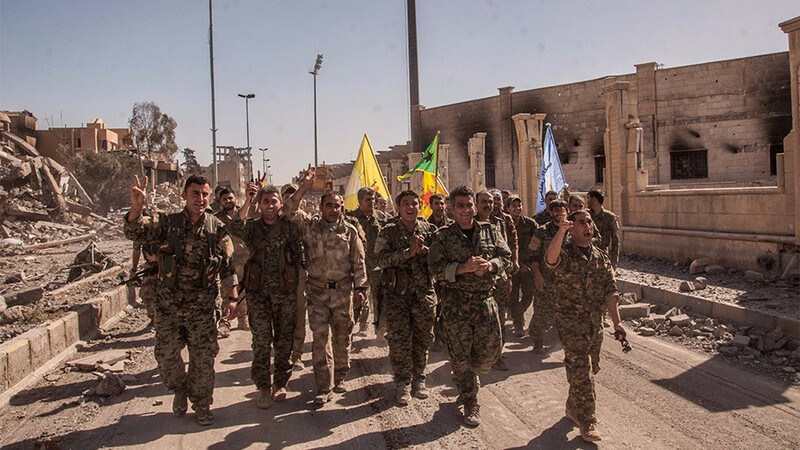 The siege was finally broken in early September 2017, following a rapid Syrian Army advance. 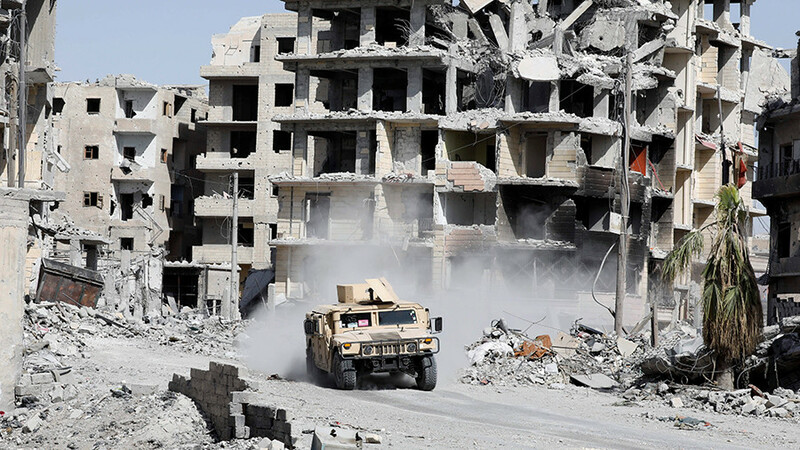 Russia, which considered Deir ez-Zor’s recapture a turning point in the fight against IS in Syria, also suffered losses in the battle, including of high-ranking figures. Lieutenant-General Valery Asapov, a senior adviser assisting the Syrian Army, was killed alongside two of his aides in terrorist shelling of a command point. The successful campaign opened the routes for long-needed humanitarian aid, allowing the Syrian Army to restore control over large chunks of territory. Despite terrorist attempts to launch a counter-offensive to reverse the gains of the Syrian Army and its allies, all the major settlements alongside the Euphrates River had been liberated by the end of November 2017. 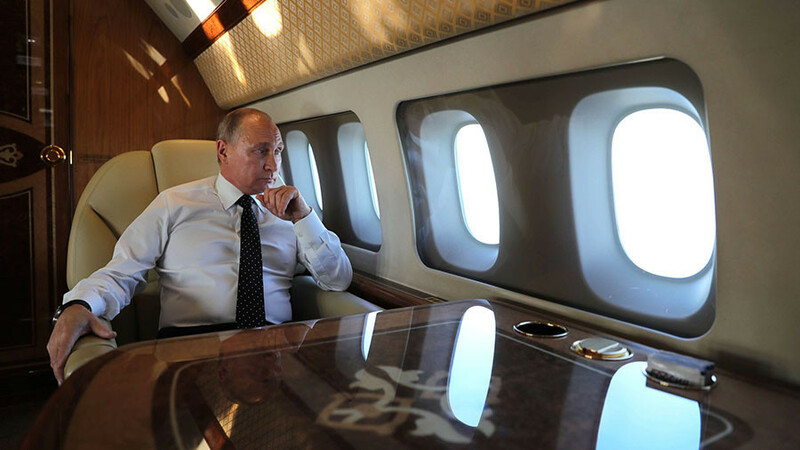 The advance of government troops, as well as Kurdish-led militias, received significant support from Russia, with long-range aviation hitting terrorist targets on an almost daily basis. The Syrian anti-terrorist operation was the first major foreign engagement of Russian military hardware in the post-Soviet era. The campaign became the testing ground for modern Russian weaponry, while some Soviet-era equipment also saw action for the first time. Advanced munitions such as Kalibr surface-to-surface cruise missiles and long-range strategic Kh-101 air-to-surface cruise missiles were used on multiple occasions against high-priority terrorist targets, including underground bases and munition stockpiles, and showed high-precision and destructive capabilities. The cutting-edge modifications of iconic fighter jets, as well as new Russian UAVs and Mi-28N ‘Night Hunter’ attack helicopters, all saw action in the campaign. The veteran Tu-95MS long-range strategic bomber, Tu-160 warplanes and the ‘Admiral Kuznetsov’ aircraft carrier also took part in real military operations for the first time. Shortly after the start of the operation, on November 24, 2015, a Russian Su-24 bomber jet was shot down by a Turkish F-16 while attacking militants’ positions in the Syrian province of Latakia. The plane was over Syrian territory, according to Russia’s Defense Ministry, but Ankara claimed it violated Turkish airspace. Ankara never provided proof of any wrongdoing on the Russian crew's part. The plane crashed in rebel-held territory in Syria near the Turkish border. The pilots ejected, but one - Lieutenant Colonel Oleg Peshkov - was killed by machine gun fire from militants on the ground. Turkish nationalist Alparslan Celik has claimed responsibility for Peshkov's death. The incident led Russian-Turkish relations to their worst deterioration in recent history. Russia’s President described the incident as “stab in the back,” while Turkey’s leadership refused to apologize for it. It took over a year for the two countries to mend relations. 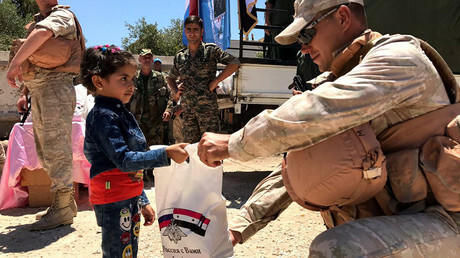 Apart from providing military support, Russia has actively engaged in humanitarian activities in Syria, providing much-needed aid to the war-torn country. Russian service personnel have defused thousands of explosive devices left by terrorists, and Moscow is committed to achieving a lasting ceasefire between forces of the Syrian government and moderate rebels. The Russian Reconciliation Center for Syria was set up in February 2016, distributing humanitarian aid and facilitating ceasefire agreements between the warring sides. As of September 2017, over 2,000 rebel-controlled Syrian villages and towns had entered the truce agreement with the Syrian government. Moscow has also spearheaded international diplomatic efforts to bring peace to Syria, and alongside Iran and Turkey has sponsored the Astana peace talks. The format brought together representatives of the Syrian government and armed opposition groups at the negotiating table – something previous efforts by the international community had failed to do. The trio of nations appear adamant about their intention to broker a lasting peace in Syria, with President Putin hosting a meeting in Sochi with his Turkish counterpart, Recep Tayyip Erdogan, and Hassan Rouhani of Iran to share their views on reconciliation back in November. “The militants in Syria have sustained a decisive blow, and now there is a realistic chance to end the multi-year civil war,” Putin said at the meeting. The leaders agreed that a National Congress, representing all sections of Syrian society, should be held in Sochi, where the future of the country should be decided – although prior to that, all fighting in Syria must cease. Before the trilateral talks, Putin met Syrian President Bashar Assad, who paid an unexpected visit to Russia. Assad stressed that it was due to Russian anti-terrorist support that Syria still existed as a state.